​In February of 2015, our team was invited by the Secretary of Education to attend the Boston Teach to Lead Summit. We worked with national thought partners to develop an action plan for a regional Teacher Leadership Summit. 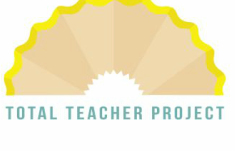 This led to the creation of the Total Teacher Project, a nonprofit 501(c)(3) organization. We are excited to offer a new strategy to improve student performance by focusing on teachers as leaders. TTP offers opportunities for teachers to connect with leadership development experts who will help them to reach their full potential. Ellyn has long been committed to the leadership development of others. She is a 1987 graduate of the US Coast Guard Academy and began her career during a pioneering era for women in the military. Her demonstrated leadership and mentoring skills led to her being assigned to the first formal Leadership Development staff at the US Coast Guard Academy in the 1990s. Following the terrorist attacks of September 11, 2001, she was immersed in the Coast Guard's new mission of Homeland Security. For the next eight years she was a reservist for the Captain of the Port in Seattle, Boston and Providence. Ellyn began her second career as a middle school science teacher in 2006. Her experiences as a public school teacher and a fellow in the NEA/Teach Plus "Future of the Profession" fellowship re-energized Ellyn’s commitment to leadership development. In 2015, she was chosen to participate in the National Teach to Lead Summit in Boston, MA. 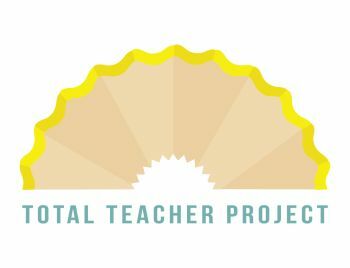 Combining her strong belief that all teachers must be leaders with the momentum from the national movement on teacher leadership, Ellyn founded the TOTAL TEACHER PROJECT. After ten years as a teacher, she is currently serving as the Associate Director of the Loy Institute for Leadership at the Coast Guard Academy in New London, CT. Along with her BS degree from the Coast Guard Academy, Ellyn holds an MS degree in Adult Education and Human Resource Development from Fordham University, and an MEd from the University of Massachusetts, Boston. She holds certifications in elementary education, middle school science, and middle school mathematics. Kara is a community activist who believes that the young leaders of our future model the example set by their teachers. Kara graduated from Georgetown University, where she studied finance and theology. She began her career in the finance management training program at First American Bankshares in Washington DC. After getting married and moving back home to New England, she served as a senior financial analyst at Textron Financial in Providence, RI. Her role as an analyst combined a technical skill set with a customer-driven leadership approach. She realized that she measured her success not in statistics and numbers, rather in human interactions and developing meaningful relationships. Subsequently, she has spent the last decade building her own leadership skills and teaching others to do the same. Kara leads by example, both personally and professionally. She learned firsthand about the significance of inspiration, confidence, and camaraderie while serving as captain of the Georgetown Cross Country Team. The combination of her experience as a runner and leader was fundamental for Kara's track and field coaching position at Seekonk High School. Off the track, she is a leader on School Council, fundraiser and awareness activist for prematurity with the Rhode island Chapter of March of Dimes for the last 19 years, and helps coordinate the Massachusetts Teen Distracted Driving Summit, which has educated over 100,000 high school students to become safe driving leaders in their own communities. Kara's main focus continues to be encouraging her four adult children to lead the charge toward making positive change in their communities. Professionally, Kara teaches communication skills, rapport development, and patient interview strategies at The Warren Alpert Medical School of Brown University. Holly started her 34+ years as an educator at Boston College where she graduated with a BA in Elementary/Special Education and began her career as a special needs educator. As an elementary teacher, she continued to build her teacher leadership skills and mentor student teachers. Holly’s passion for technology and its impact on education led her to obtain an M.Ed in Instructional Technology from Lesley University. 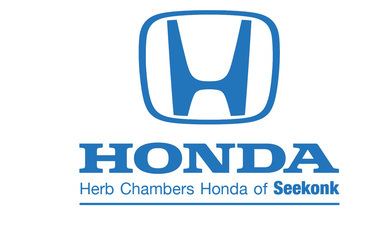 In 2001, Holly authored the funded Project MEET grant (Massachusetts Empowering Educators with Technology) designed to introduce and promote instructional technology integration in the Seekonk Public Schools. She received technology leadership training by state leaders through this grant program and became the first Technology Professional Development Specialist in Seekonk. Her experience as a Technology Integration Specialist provided opportunities for leading professional development, co-teaching, and mentoring. 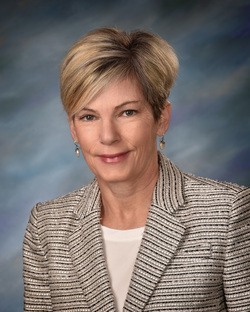 In addition to promoting technology integration for enhancing teaching and learning in Seekonk, she has traveled to Texas, Colorado, and Indiana to present at several national conferences including NSBA’s Tech and Learning Conferences. Holly is a member of MassCue, BlendinMass.org, chairperson of the District Technology Committee, and a Google Certified Trainer. Her current role as District Instructional Technology Coordinator has given her the ability to provide staff and students with 21st century learning tools and knowledge to promote increased creativity, collaboration, communication, and leadership opportunities. an English teacher for thirteen years. She then became the school’sTransition Coordinator, working with students in Special Education programs on their post-secondary planning, after receiving her MEd in School Counseling from Providence College. For the last decade, she has served as a mentor to new teachers and is currently the Mentor/Induction Program Coordinator for Seekonk Public Schools. She is a Master Mentor Evaluator for Gordon College's graduate course, Mentoring in Action: Becoming a Qualified Teacher and Leader with Dr. Carol Radford's Mentoring in Action team, whose mission is to empower mentors and novice teachers in realizing their full potential as effective teachers and emerging leaders. Janet continues to find ways to apply her diverse experience to growing teacher confidence and leadership. Christine Brierly began her 20+ year teaching career in the Providence School department as a 4th, 5th and 6th grade teacher after receiving an undergraduate degree in Elementary Education from Rhode Island College. Christine went on to earn her Master’s in School Administration k-12 from Providence College where she was exposed to her interests in adult learning and finding innovative ways to support teacher effectiveness. As a classroom teacher, Christine led school based leadership opportunities such as the School Improvement Team and PBIS team. She created several community based support programs including Cozy Hearts Campaign and Helping Hands. In 2012, Christine joined the Teacher Retention and Induction Network (TRAIN) as a Consulting Teacher where she provides extensive, individualized instruction and feedback to both new and veteran teachers. Christine has prepared and presented numerous professional developments in education including a week long summer institute for new teachers. She has served on a district design team, creating a comprehensive Peer Assistance and Review (PAR) and Induction program for Providence teachers as well as representing her team in various conferences such as Teach to Lead, Boston, MA and Teacher Conditions Matter, New Britain, CT. Additionally, she has been trained and certified in teacher evaluation and is a master scorer. Her current role as a TRAIN Consulting Teacher allows Christine to continue to build upon her expertise in developing/maintaining powerful relationships, providing feedback in order to increase teacher effectiveness and raise student learning, and empowering teachers to be leaders in their classroom, school and community. Kim DeLeo has been in her second career as a Technology Teacher at the Dr. Kevin M. Hurley Middle School in Seekonk for over 20 years. During her time in Seekonk she has been the middle school Computer Applications Teacher, Secondary Technology Integration Specialist, District Technology Committee Chair, Mentor Coordinator, New Teacher Mentor, and Encore Team Curriculum Leader. She has led parent technology training sessions, appeared on the town’s cable network with students discussing the innovative social media curriculum she spearheaded at the Hurley Middle School and has participated in the town’s social media focus group. She attended Providence College majoring in Special Education and English and received her BS degree in Marketing from Bryant. Kim worked in the business world for 13 years as a Marketing Coordinator (turned down a job to start a training facility in Boston by Microsoft), Script Writer at the Newport Navy Base, Retail District Manager, and Management Trainer. As a wife and mother of three daughters, she went back to her initial love for teaching when recruited by her former principal (having been a Seekonk graduate). Kim holds an MEd. in Instructional Technology. She has co-presented at the International ED-MEDIA conference in Honolulu and was chosen as a Featured Educator for MassCUE. She was awarded 3rd place in the HMH Curious Classroom 2015 national contest, was a PBS Digital Innovator and is a member of the PBS Teacher Advisory Group. As part of the Teacher Leader Team at the HMS, Kim feels that her background in business and training helps her to be a successful teacher and teacher trainer and believes in the importance of ongoing, relevant professional development to improve teacher success and empower leadership skills among all educators.